Mega Man was a series that started on the NES. It was well known for its tight controls, challenging gameplay, and the ability to use the weapons from defeated bosses. While some debate when exactly the series on the NES started to become stale, it was clear to Capcom that if they were going to bring Mega Man to the Super Nintendo, they couldn’t just do the same old run-jump-shoot formula. They had to do something different, something that would take advantage of the increased horsepower that the SNES provided. In making this new Mega Man, they needed a new story, different bosses, and a new kind of Mega Man character. And so, Mega Man X was made. With this new Mega Man game was an expansion to the the original Mega Man’s slide ability, the Dash, which, along with moving faster, allowed you to jump farther than normal when you time it right. This came courtesy of the Dash Boots, which was 1/4 of the new Armor System implemented into Mega Man X. The rest of the armor upgrades included chest armor to decrease damage, a helmet to destroy certain blocks by jumping at them from below, and an X-Buster upgrade that added an extra step to the regular Charge Shot and the added ability to Charge-up gained Maverick weapons. The player can now wall jump, allowing them to climb to higher areas and save themselves from a pitfall death. And finally, all stages fully scroll fluidly, unlike the original where there would be a section, followed by a transition to the section. Speaking of Mavericks, they are the new enemies. Unlike the Robot Masters, the Mavericks where robots built after animals. The story behind the Mavericks is that they were once Reploids. Reploids are robots that can think for themselves, replicating human emotions and can make decisions and mistakes like humans could. X is one of them. When a Reploid “malfunctions,” they become Mavericks. If nothing can be done to convince them to revert back to a normal Reploid, then they have to be terminated. This is where X comes in. In this new world, X and his partner Zero are called Maverick Hunters. As the name suggests, they get a distress call about a Maverick and they go in to destroy it. 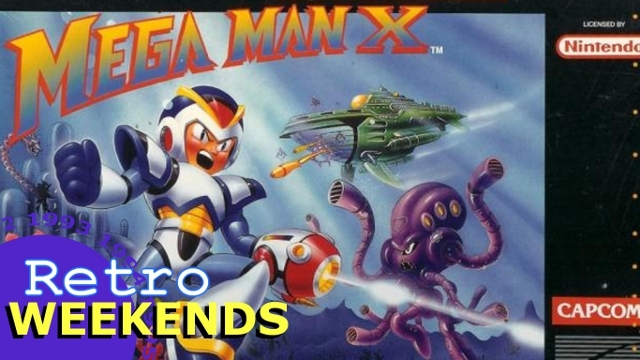 The story for Mega Man X isn’t that fleshed out now. But as the series progresses, they story goes deeper and tackles issues like human emotion, revolution, and humans essentially play god. 584,666 viewers accidentally found us!